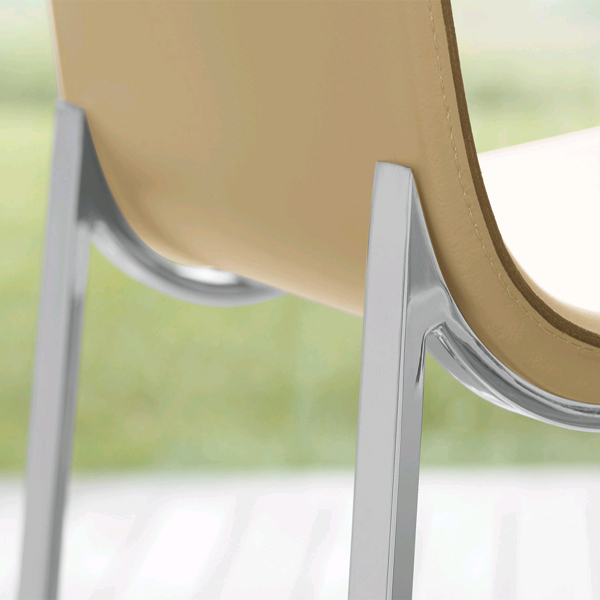 A sleek, simple dining chair with a strong, yet elegant shape. Sturdy chromed steel legs. 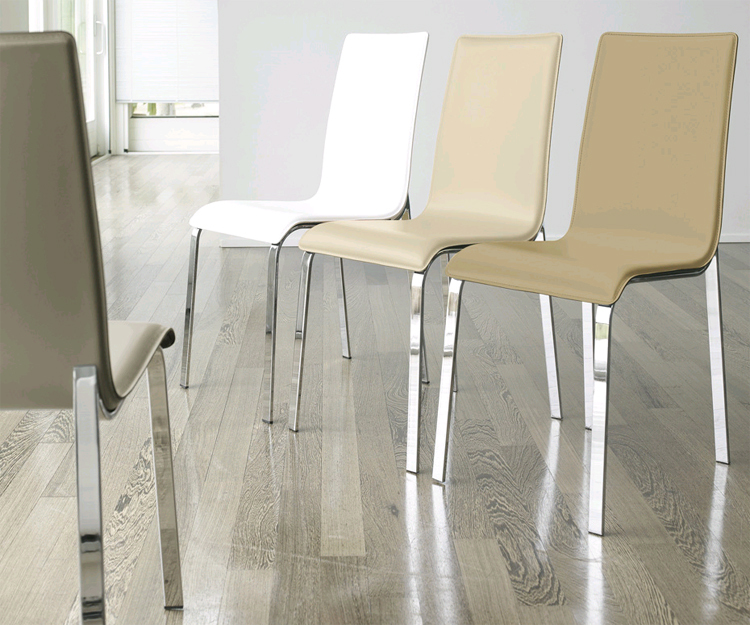 Seat and back covered in hide leather, see sample links below for the full range of categories and colors.